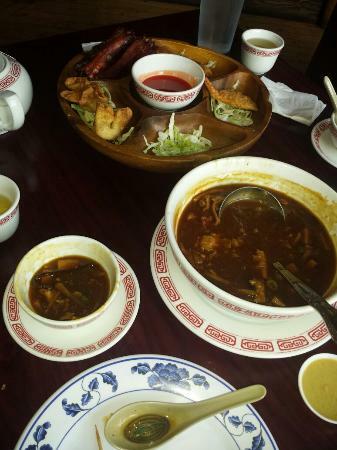 ... that hot and sour soup tastes great...Authentic Chinese in Ketchum... a pretty good rendition of a seafood chop suey and rice in no time at all. We stopped in for a late lunch, not may people were there. Great service, delicious food. Both my kids and husband said it was the best food we had on our trip to Sun Valley. Great portion sizes, something for everyone and freshly cooked. When you just want to relax after a full day of skiing and do "take out"!!! Very friendly and quick service. We had shrimp lo mein with an extremely tasty sauce and their extra special fried rice with pork, chicken, shrimp and numerous veggies. Carpet, bench seats and wall paint needs refreshed. Wasn’t sure about Chinese in Ketchum Idaho but had great Mongolian Beef. The soup was really good too! Good prices, large servings! Typical Chinese Food restaurant right on Main Street. Food was good. Price was right. They have a lunch buffet, but I was there for dinner and ordered to go. Never sure what to expect in a very small town especially off season but the vegetables were crispy and the taste authentic. Some of the other reviews seemed a bit negative, but we took a chance. It was great! 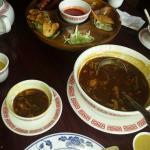 Hot and sour soup and the pu-pu platter made a great meal. All food was fresh and tasty. Service was wonderful. Get quick answers from Wonderful House Authentic Chinese staff and past visitors.